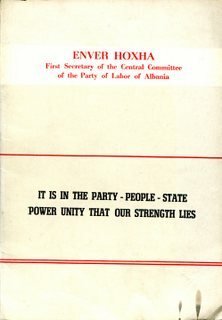 Below you’ll find a selection of speeches and articles by Enver Hoxha, First Secretary of the Party of Labour of Albania from 1944 until his death in April 1985. 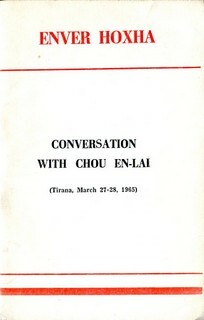 Click on the image to be taken to a downloadable pdf. 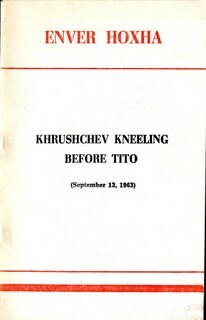 An article first published in the newspaper ‘Zeri i Popullit’, organ of the CC of the PLA, on September 13th, 1963, under the title ‘results of N Khrushchev’s Visit to Yugoslavia’. 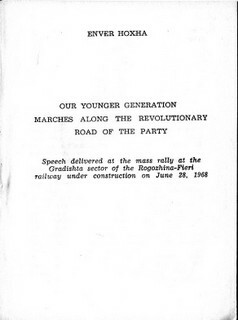 Speech delivered at the mass rally at the Gradishta sector of the Rogozhina-Fieri railway under construction on June 28, 1968. 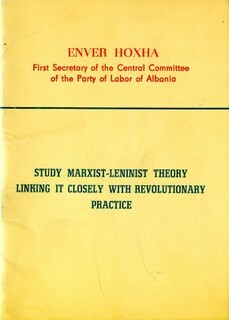 The mistake that Hoxha made was that he hung-on too long. 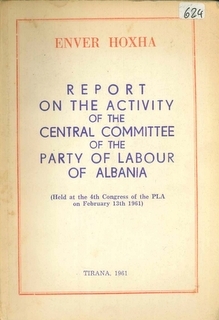 In the immediate post World War II period, a Hoxha was needed to secure Albania’s sovereignty as a number of surrounding countries had their territorial aims. 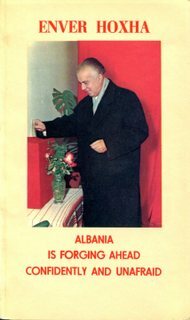 However, once those threats faded and the internal infrastructures were solidified, Albania seemed to have got stuck in a time warp. 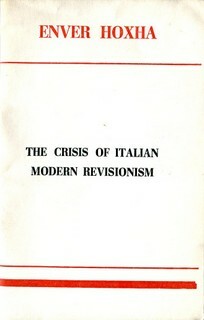 It missed an opportunity to engage the best the world could offer while rejecting the worst. 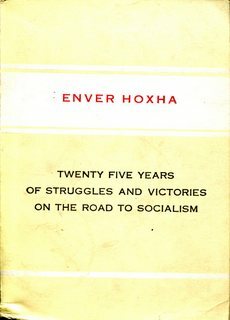 After Hoxha, Albania did not have the institutions in place for a modern late 20th century economy which created societal disorganization. 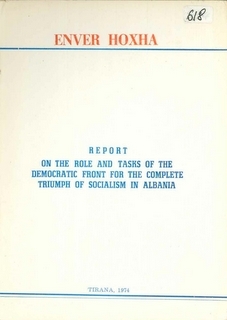 This did not have to occur if Hoxha would have transitioned power much earlier. Transition power to who? 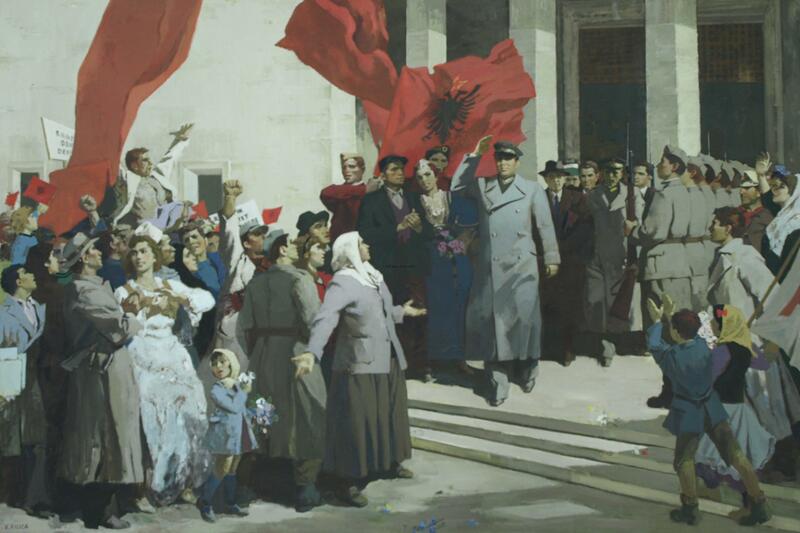 Albania hasn’t been able to give birth to a better leader yet.